Clean air is essential for good health, and this is especially true when it comes to indoor air. Levels of air pollution inside the home can be two to five times higher—and occasionally up to 100 times higher—than outdoor levels. Carrier humidifiers help control air moisture, ventilators bring fresh air into your home, electronic and traditional air filters clean the air before it circulates, and advanced ultraviolet lamps eliminate germs and bacteria. Look for equipment that removes bacteria, pollen, animal dander and other pollutants, keeps the right humidity level in a quiet, energy efficient way, and brings fresh, pollutant-free air into your home. Contact ACE Plumbing & Heating today to learn more about how the pollutants in and around our homes affect our indoor air quality, as well as what you can do to improve your home’s health. 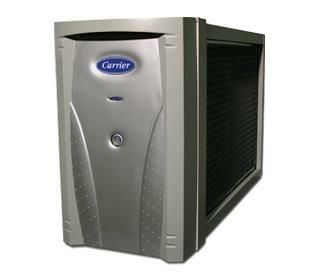 Carrier is the indoor air quality standard.